Everyone who has been associated with the outsource contact center services for a decent while knows the phrase “happy agents=happy customers”. But there is a sea of difference between knowing a thing and understanding it completely. Though there are echoes of this phrase heard in the management circles, but no special initiative is taken to attain agent happiness. 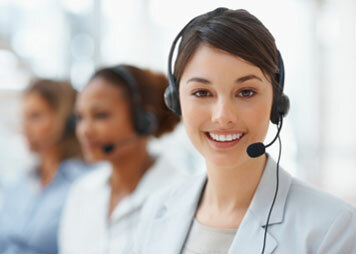 In the modern contact centers agent happiness has become an idealistic concept that is hardly given any thought. As a result of this, contact centers are not able to completely utilize the potential of their agents. The customer and agent communications are ineffective and inefficient. It leads to the customers venting their frustration upon the agents. But the situation could have been so different. Happy agents could provide happy solutions to the customers and thus boost the overall brand image. Without any happiness, the agents feel the monotony. They are not enthusiastic enough to go that extra mile to please the customers. As a result of this the agent’s performance goes down. It results in dissatisfying calls, low productivity and nothing out of the ordinary to please the callers. There are two ways to tackle the situation. Often the call center solutions offering companies take the easy option and blame the agents for their lack of performance. But the hard way would be to take responsibility of the situation and get to the bottom of lackluster agent performance. Not only the clients but the agents as well, should understand the business values, goals and practices. To attain agent happiness it is essential that the below given 5Ws are adopted. Who: The commencement of agent happiness starts even before the agent sits in the contact center. It starts in the recruitment phase. Much recruitment is done on the basis of skills and experience, but they should be done on the adaptability of the employee. Not every human being has the same mindset. While some people are readily adaptable to a company culture others will not feel in place. If the agent is not comfortable at the company then he/she will never attain the happiness and thus will not be able to cater happiness to your customers as well. The agents should also be comfortable with the company’s structure. The agent should fit in whatever contact channels, issues or customers the company deals with. What: An agent cannot give his/her best efforts unless they know the end goal. They have to be conveyed their role in the overall business functions. The objectives to attain while communicating with the customers or the role agent plays in the larger business strategy should be clearly laid down. If the agent is not clear about these aspects, he/she can never develop an attachment with the organization. He cannot understand which performance metrics are important for the greater good of business. When: Agents are not limited to doing one thing. They have to wear many hats as it is the need of modern customer service. To serve the customers they have to perform all the roles well. But changing so many hats can create confusion and thus lead to trouble. So, the question “when” is very important for the agents to know. They should be clearly told of their roles in various situations. When certain business objectives can be kept in the backseat? When certain issues should be escalated? When to end a call rather than resolving it? When to ask the customers for a feedback? And many other such questions should be clearly answered. Where: The agent should understand the actual hierarchy and position within the organization. How is the agent affecting the overall business growth and future strategies? The agent should know whom to contact in terms of any problem that affects his/her work rate. There are too many organizations, where the agent is not even sure whom to turn to in case of problems. This becomes a major roadblock in the happiness of the agent. Why: Though agents are given certain scripts but hardly does it come into use. Each customer comes with a different sentiment which cannot be anticipated by even the geniuses from contact center industry. What has to be done in such a situation is to react likewise. But most of the agents stay glued to their scripts and thus face customer wrath. They do not have answers to the essential why’s such as best practices, script components and policies. These will empower the agents to be unique and customized as per the circumstances. As the above points reveal that these are mere basics and not something that will need a lot of investment. If these basics are adhered to, agents can be made happy and motivated. And every business owner knows what that means!